You have probably seen a lot about coin grades here on this site. Some of you may know what coin grading is, and some may not. If you can understand coin grading, then you can begin to figure out coin values much more easily than you may be able to now. Grading coins is one of the most important parts of evaluating and appraising coins. A coin’s grade is absolutely key when determining how much a coin is worth — given its date and demand. When you grade a coin, you actually are paying more attention to how much wear a coin has rather than how it looks overall. That’s because wear is the key factor in deciding what grade a coin is and, ultimately, an important factor in getting a coin appraisal. You see how important grading coins is to you? What Is Involved In Coin Grading? Basically, coin grading is a determination of coin’s value based on how much or how little wear it has. In general, coin grading is not based on factors such as the presence or absence of nicks, scratches, dents, and holes. These are all individual factors that are noted separately. That’s why it is so important to remember that wear — how much rubbing a coin has sustained — is the key indicator of a coin’s grade. After the grade has been determined, then you can also label your coin as having sustained damage such as nicks, scratches, and the like. Remember that pure wear is not considered damage in coin collecting. Why Is Coin Grading So Important? Coin grading is extremely important in coin collecting for a number of reasons. One of the most important things about coin grading is that it helps to put a “label” on coins as to their state of preservation. In other words, applying a grade to a coin helps collectors, investors, dealers, and others involved in the hobby to get a feel for how much or how little wear a coin has. Knowing how well a coin has been preserved is absolutely key in determining its value. For example, if you tell me you have a 1905 Indian Head penny and that you want to know how much it is worth, I will have to know what “grade” it is in first. I also have to know if the coin has any damage. You see, not all 1905 pennies are worth the same. Some are worth hundreds of dollars if in pristine, uncirculated condition. A penny of the same year that has been rubbed smooth and was buried for decades (and is now corroded) may be worth less than a dollar. Grades 1 through 59 are circulated coins, like the coins you find in pocket change. Grades 60 through 70 are uncirculated coins, as you’ll find in a roll, bag, or set from the U.S. Mint. Is Coin Grading An Exact Science? The big, one-word answer to this question is a resounding NO! Coin grading is not a science. Rather, it is more of an art, and therein lies a big problem for collectors. You see, coin grading is highly subjective. While there are some general guidelines to coin grading, and a number of respected authorities that have even published books on coin grading, it is still true that coin grading can be rather inconsistent amongst different hobbyists and coin dealers. While coin grading inconsistencies really are not necessarily a big problem for individual coin collectors, grading issues do factor in when a person is buying or selling a coin. Why is it a problem? 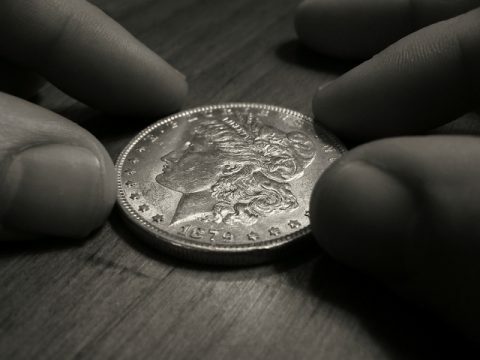 Because one person may expect a coin of a certain grade, such as “Very Fine,” to appear one way but be disappointed when the “Very Fine” coin he or she bought from a coin dealer is usually considered only “Very Good” by most coin enthusiasts. Is what that coin dealer did a crime? Not necessarily. Why? Because it is usually legitimate (though sometimes questionable) for a coin dealer to make up his or her own set of coin grading criteria and base sales prices and grades off that standard. That’s why it is so important that you know what standard a coin dealer claims to use when selling coins. There are some well-known and widely used coin grading standards, such as “Photograde” and those of the American Numismatic Association (ANA) which are often employed by coin dealers and coin collectors alike. If you know what those coin grading standards are, you will have a better idea as to what to expect when you buy coins from a coin dealer. So, How Can I Tell What Grade My Coin Is? Grading your coins is a big first step toward coin collecting autonomy. But don’t become frustrated if you can’t figure out the whole practice of coin grading right away. Coin grading is often a profession all its own that can take some people years to gain good skill at. The coin grading system is rather complex. It could take a whole glossary of grading terms just to get to know the ins and outs of coin grading. And it may take years of experience to be able to take one look at a coin and assign it an on-the-spot grade. While there are several different grading categories, these 4 should give you a great start at learning how to start roughly grading your coins. “Good” coins present very heavy wear, usually present only a silhouette of the main design with only vital details showing. 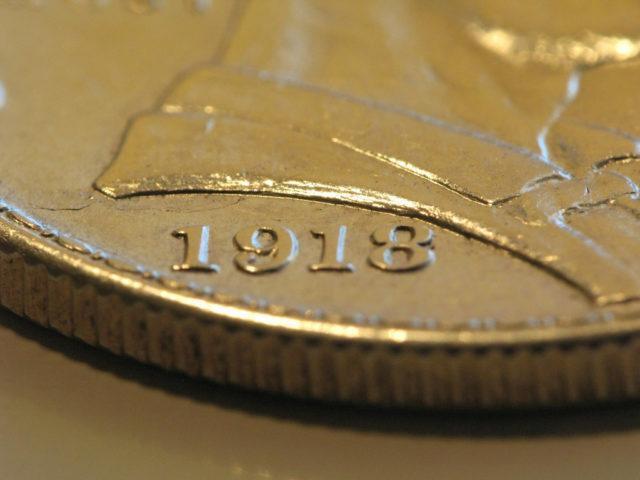 On most modern coins, any lettering near the rim of the coin is complete or nearly complete. 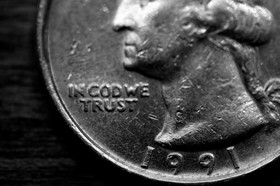 On most modern coins, the rim is allowed to be worn down to the tips of lettering near the edge of the coin, but the rim should not obscure the lettering. “Fine” coins generally show all major details and complete rims. Commonly, coins on which the word “Liberty” is inscribed on a headband (such as on the “Barber” dimes, quarters, and half-dollars of 1890s, 1900s and 1910s) should show complete traces of all 7 letters. “Extremely Fine” coins show all major details and nearly all minor details. On higher-end “Extremely Fine” coins, some mint “luster” (sheen) may be seen between lettering. “Uncirculated” is a grade that is one of the most important in coin collecting. It is also one of the toughest grades to assign a coin, because very light wear can be hard for some people to spot. Furthermore, there are some coins which have been passed off as “uncirculated” when, in fact, they have been cleaned or polished to appear uncirculated. Uncirculated coins absolutely must not show any signs of wear. Wear can be seen on the very “highest,” or the most-raised, parts of a coin’s design. Uncirculated-graded coins are not based on sheen so much as they are lack of wear. In fact, some of the lower-quality uncirculated coins may have little luster and show some light nicks and scratches. What is important is that, no matter how unsightly an uncirculated coin is, it must never show any signs of wear. There are several coin grading services that will examine your coins and then encapsulate them in tamper-proof holders for you (to ensure that they remain in that condition). However, there are several companies that offer reliable and accurate coin grading. Coin grading is a well-covered field. There are any great books and websites that will give you very detailed and helpful information in explaining how you can grade your coins accurately. Photograde by James F. Ruddy is now in its 19th edition. This book is full of hundreds of photographs of various U.S. coins in different grades, allowing you to compare the coin you have to the photographs in the book so you can quickly estimate the grade of your coin. The Official American Numismatic Grading Standards of United States Coins by Kenneth Bressett and Q. David Bowers is another wonderful guide that will help guide you in grading your coins.